Caroline Percy is an interior designer and consultant in Fine Art and Antiques and founder of Hotspur Design. As well as designing interiors, she advises clients on the acquisition and sale of antiques, including furniture, objets d’art and paintings. Caroline grew up surrounded by historic and important works of art which fostered an interest in the decorative arts and encouraged her to acquire a wide knowledge of historic interior styles. She has lived in Italy, France and Spain. Caroline has worked on a number of high profile design projects for both historic and modern interiors and has appeared on various television programmes. Oliver Gerrish has a Masters degree in Architectural History from the University of Cambridge. He is a trustee of the Derbyshire Historic Buildings Trust and helped to found their Architecture Awards. For over a decade he was actively involved with historical architectural charity, The Georgian Group, for whom he re-founded and successfully led the Young Georgians from 2002-2016. He was one of the youngest feature writers for Country Life, and has written for The Georgian magazine and reviews for House and Garden and other magazines. He has lectured nationally on subjects ranging from the masters of the Arts and Crafts to the role country houses play in the lives of younger people. He regularly organises tours of historic buildings throughout Britain for private clients and charities. Oliver is also a Guildhall trained professional opera singer. Catherine has been involved in the development of Historic Decoration and runs its administration as well as working for Hotspur Design. She has extensive experience in the fields of antiques and interior design and has worked in the financial sector. Her interests include Georgian architecture, interior design, restoration and conservation. Patrick Baty is an expert in the decoration of historic buildings. His work covers research, paint analysis, colour surveys and technical advice. Projects have ranged from King Henry VIII’s heraldic beasts, Baroque churches, country houses, wartime RAF stations and London social housing estates, to structures such as Tower Bridge and Holborn Viaduct. He also works in the USA. Patrick’s first book is just out. He blogs at -http://patrickbaty.co.uk/blog/. Edward has spent 30 years in historic decoration, not generally working for heritage organisations; mainly for private owners and trusts. Nevertheless his work can invariably described as ‘historic decoration’ as these owners, like heritage organisations, aspire to historic integrity in the treatment of their buildings. The single biggest difference is that these houses are lived in and need to be fit for purpose in this sense. Edward’s career has been an exercise in delivering these two needs. 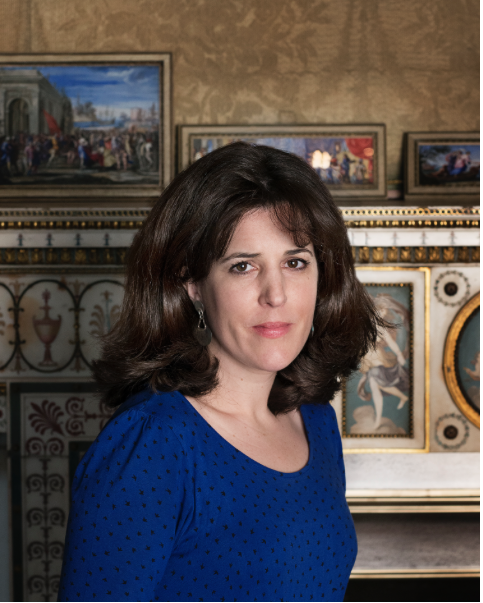 Allyson McDermott is a leading authority on conserving, recreating and hanging historic wallpapers. She was formerly Head of Sotheby’s Conservation Studio, advisor to the National Trust and Chair of the Historic Interiors Group. Allyson draws on many years of experience to identify pigments, papers, varnishes and processes used by the makers historic wallpapers. Her practice offers specialist services including wallpaper design and printing, conservation and restoration of original wallpapers, investigation and research and historic interior design consultancy. Her clients include The National Trust, Historic Royal Palaces, interior designers and architects worldwide. Much of her work is for top properties such as Brighton Pavilion and the Palace of Westminster but she also gains great pleasure from creating decorative wall-coverings for private houses. Her studio has an important archive of designs from 17th to 20th Century, any of which can be recreated to order. She also has a ready-to-hang collection. Hugh Petter is a recognised authority on classical and traditional architecture with a broad range of experience. He works throughout Britain, Italy, the Caribbean, North America and Russia. He has published various articles and essays on architectural subjects and is a visiting tutor to several colleges in the UK and abroad. He was a Vice-Chairman of The Georgian Group. Frances Sands is the Curator of Drawings and Books at Sir John Soane’s Museum in London, where she has worked since 2010. 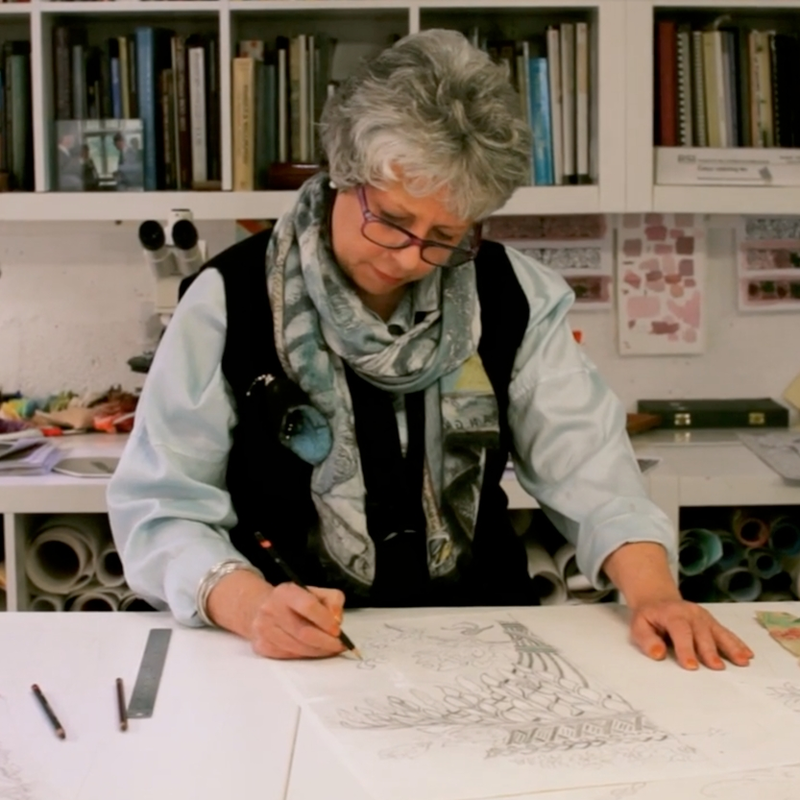 She is responsible for a collection of 30,000 architectural drawings and 8,000 books ranging from the thirteenth to the nineteenth century. She is a specialist cataloguer of architectural drawings with a research interest in the seventeenth to nineteenth centuries and particularly the work of Robert and James Adam: a subject on which she lectures and publishes widely. Prior to working at the Soane Museum, Frances studied for a PhD at the University of York. She is a trustee of the Mausolea and Monuments Trust and the Society of Architectural Historians of Great Britain. Annabel Westman is a textile historian, writer and consultant who has specialised since 1980 on the restoration of historic interiors. She has worked on a wide range of significant projects for heritage organisations, including Historic Royal Palaces, the National Trust and English Heritage, carrying out detailed research on the original furnishing schemes and advising on their implementation. She is the Executive Director of The Attingham Trust.